Automatically start ZooKeeper as soon as your server boots, without having to log in. Survive crashes, accidental shutdowns and other failures! 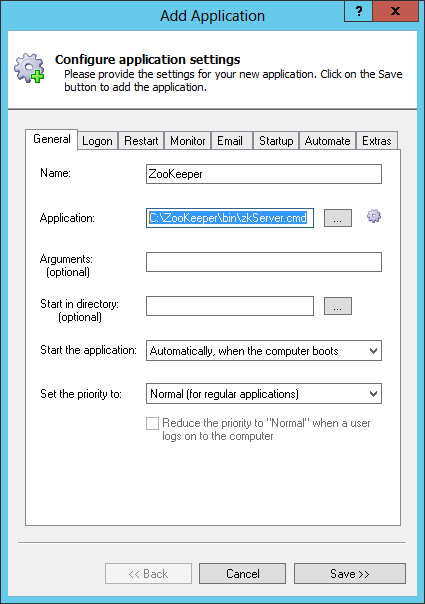 Apache ZooKeeper provides directory service support for distributed applications. In the Application field, enter the full path to the command file that starts ZooKeeper, zkServer.cmd. This should be found in the bin folder in your ZooKeeper installation directory. Since we have installed ZooKeeper in C:\ZooKeeper, we'll enter C:\ZooKeeper\bin\zkServer.cmd. Note 1: Please ensure that running this command file from a prompt (or from Windows Explorer) will start ZooKeeper as you expect. If not, then running it here with AlwaysUp will not work either! Note 2: zkServer.cmd invokes java to start the server without specifying the full path to the java executable. We recommend editing the zkServer.cmd to specify the full path, to avoid any potential confusion that may arise when there are multiple versions of java installed on the server. In the Name field, enter a name for this application in AlwaysUp. We have used ZooKeeper but you can specify something else if you like. Click over to the Logon tab and enter the user name and password of the windows account where you normally run ZooKeeper's zkServer.cmd file. Running in this context will ensure that ZooKeeper will find your java installation (and any other settings you may have configured in this account). 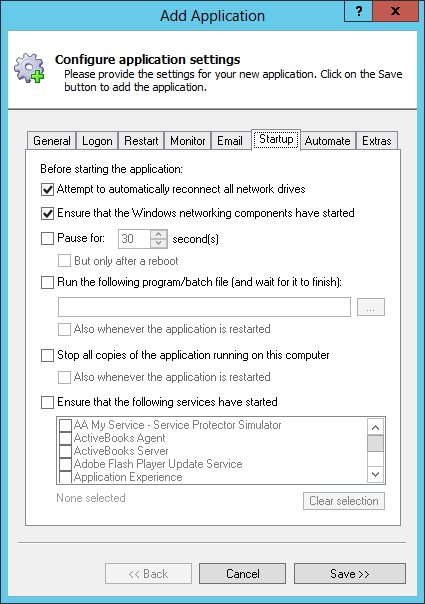 Next, switch to the Startup tab and check the Ensure that the Windows Networking components have started box. This informs AlwaysUp that ZooKeeper needs the TCP/IP networking stack to start and operate properly. That's it! Next time your computer boots, ZooKeeper will start up immediately, before anyone logs on. We encourage you to edit ZooKeeper in AlwaysUp and check out the many other settings that may be appropriate for your environment. 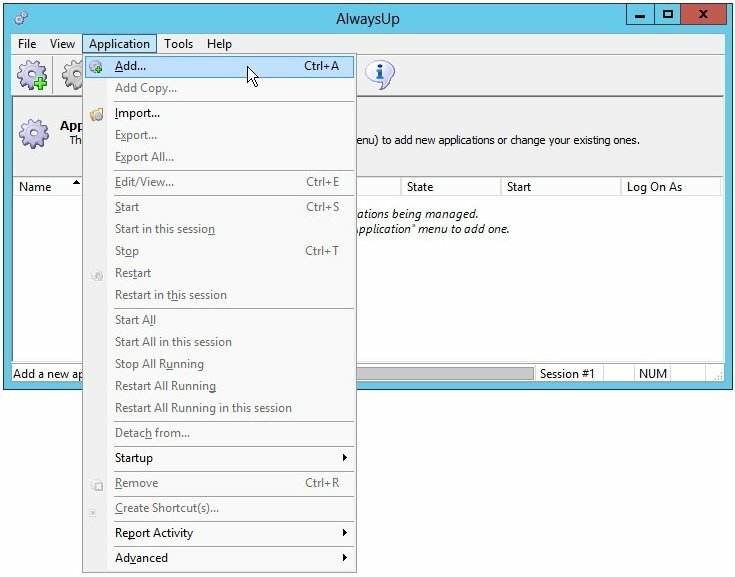 For example, capture the output from the console to a file, hide the console, boost priority and much more. ZooKeeper not working properly as a Windows Service? From AlwaysUp, select Application > Report Activity > Today... to bring up a HTML report detailing the interaction between AlwaysUp and ZooKeeper. The AlwaysUp Event Log Messages page explains all the messages.